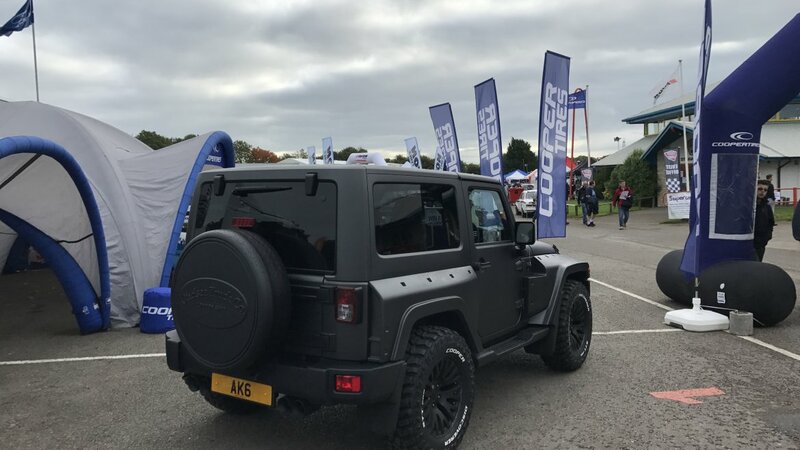 Cooper Tire & Rubber Company Europe Ltd will display a Kahn Design Jeep Wrangler Black Hawk Edition, on Cooper Discoverer STT Pro POR tires, at this year’s Rallyday – Europe’s premier rally car show – to highlight its new relationship with the British automotive fashion house. Rallyday is an annual event, set to take place this year on Saturday 23 September, at Castle Combe Circuit. Thousands of fans will pass through the gates to experience the thrill of rally cars and 4x4 vehicles, in the paddock and out on the track, at the Wiltshire venue. Cooper is the first Official Tire of Kahn Design for both Range Rover and Jeep model offerings. The relationship – showcased for the first time at Rallyday – joins Cooper’s passion for performance and Kahn’s design and manufacturing expertise to create a unique vehicle perfect for urban streets and off-road adventures. The Cooper stand will be located in the heart of the main paddock opposite the Strawford Centre. With more than a century’s experience at the forefront of the tire industry, Cooper is proud to be the headline sponsor of Rallyday for the second year running. 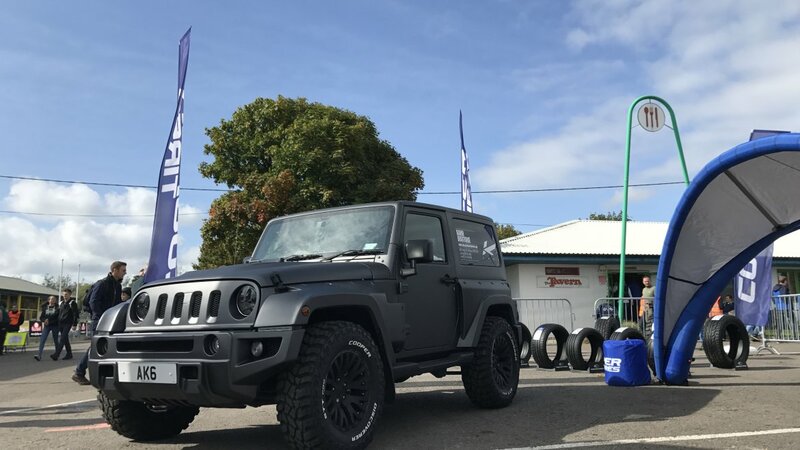 As well as the Kahn Design Jeep Wrangler Black Hawk Edition, the Cooper Tire display will also feature the Melksham-based manufacturer’s high performance SUV tire, the Cooper Zeon 4XS Sport, and 4x4 products including the Discoverer STT Pro POR, the Discoverer S/T MAXX POR and the ultimate all-terrain tire, the Discoverer A/T3 Sport. Cooper Tire Europe is an Associate Partner of the FIA World Rallycross Championship, and visitors to Cooper’s stand will be able to try out their skills as possible World Rallycross drivers on the PS4 Dirt Rally game. There will also be a selection of prizes, including the opportunity to win a set of Cooper tires, along with World RX driver Andreas Bakkerud (Hoonigan Racing Division) in attendance for an autograph signing session in the afternoon. In addition, Cooper’s Avon Tyres brand has had a long association with Castle Combe Circuit, starting in 1952 with sponsorship of the iconic bridge across the pit lane entry. At Rallyday, Avon will showcase its current football sponsorships with a goal scoring activity for all the family. All children participating will be entered into a draw for a Derby County, Bristol Rovers or Swindon Town football shirt. 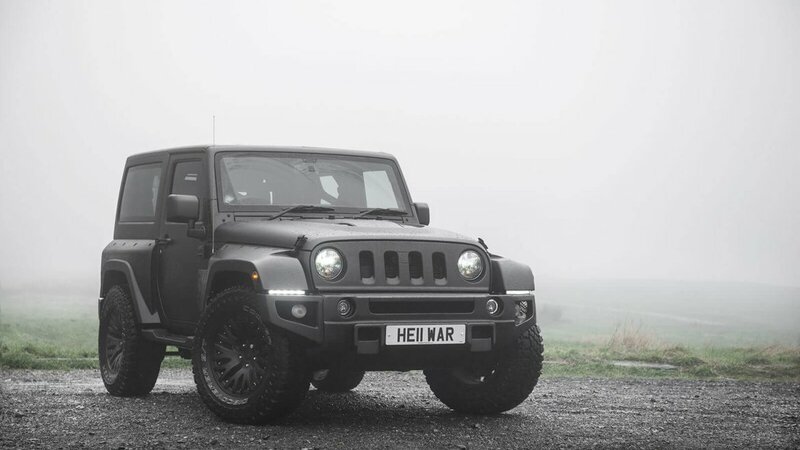 For more information on the Kahn Design Jeep Wrangler Black Hawk Edition, visit www.kahndesign.com.